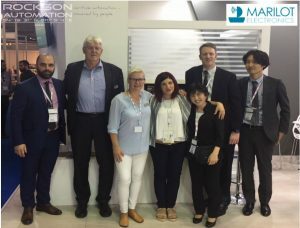 Together with our greek OEM partner MARILOT, Rockson was also represented at Posidonia 2018. We would like to thank our partner and our visitors, who have used the opportunity to get an overview of the new features and technical innovations at our system Evolution V5. Furthermore we would like to thank especially our partner MARILOT for the excellent support during this exhibition.